The Doubletree Hotel Houston Intercontinental Airport hotel offers guests a Texas themed sports bars, poll tables, shuffleboard, a casual dining restaurant, Starbucks café, year round outdoor pool and spa tub, video game room, complimentary airport shuttles, and a fitness center complete with cardio machines. It is just a few minutes away from the Bush Intercontinental Airport and less than a mile away from one of Houston’s premier golf courses. 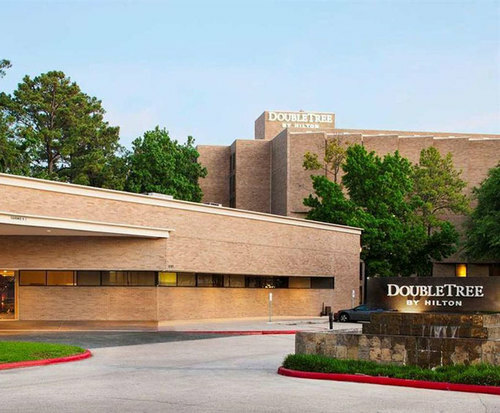 The Doubletree Hotel Houston is set up to be a home away from home that can serve as a great base for sightseeing in the greater Houston areas. 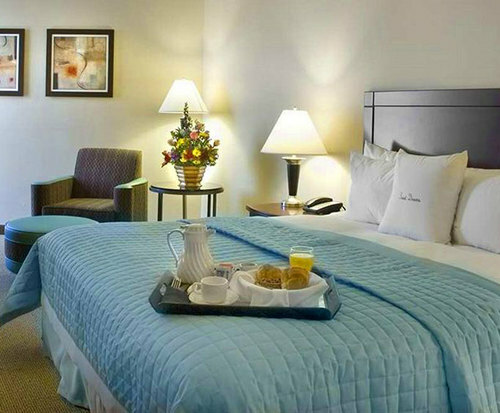 Just a short drive from downtown and located close to the airport, the Doubletree Hotel Houston Intercontinental Airport hotel offers sleek modern comforts and all of the luxuries of staying at a top rated hotel. From gaming to swimming, there are plenty of entertainment options within the hotel for a retreat or personal stay and the business suites and centers make it an excellent conference center as well. Each room offers air conditioning, luxury hypo allergenic bedding, microwave on request, climate control, high speed internet, cable television, iron/ironing boards, in-room safe, coffee/tea maker, cable television, pay movies, and HBO, hair dryer, desk and chair, video game console, and clock radio. 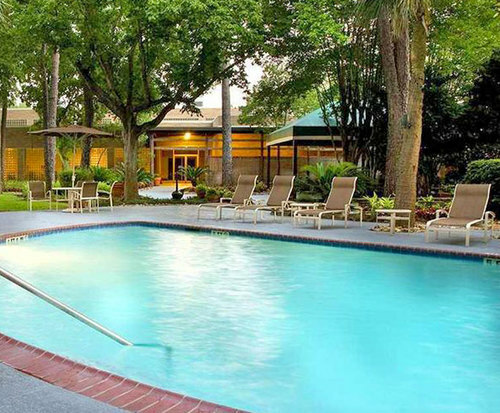 Shopping is located just a few miles down the road and the Houston Zoo, Minute Maid Park, and Galleria Mall are just a short drive from the Doubletree Hotel Houston Intercontinental Airport hotel.